German international Leroy Sané is undergoing his Manchester City medical after arriving in the city yesterday, and a deal could be announced within 2 hours according to Sky Deutschland journalist Dirk g. Schlarmann. 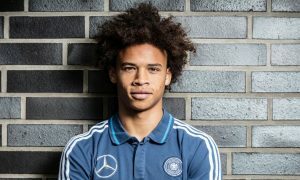 Schlarmann yesterday reported that Leroy Sané had said his goodbyes to Schalke teammates and staff in the morning before setting off to Manchester and has now revealed that a medical is underway. Sané is expected to cost City an initial £31.2m, which may rise to £46.5m as a result of add-ons in the deal – these were Schalke’s demands according to BILD, and City only had to “nod their head” for the deal to go ahead. It looks like City have beaten off any competition from Bayern Munich for the youngster, with Pep’s presence being an influential factor in the transfer – as expected. As stated yesterday, the only real thing that stands in the way of Leroy Sané officially joining Manchester City is confirmation from both clubs, and he could join a long list of youngsters that have been snapped up by City’s new coach – the future looks very bright on the blue side of Manchester! 13:00 UPDATE: Dirk g. Schlarmann is now reporting the announcement won’t be as soon as expected, as things aren’t quite done. 15:00 UPDATE: German publiciation Kicker is reporting that Sané is not even in Manchester yet, and has not had his medical. Will Leroy Sané be a part of your team in City Watch’s Fantasy Football league? Join up for your chance to win a 2017/18 Manchester City shirt!